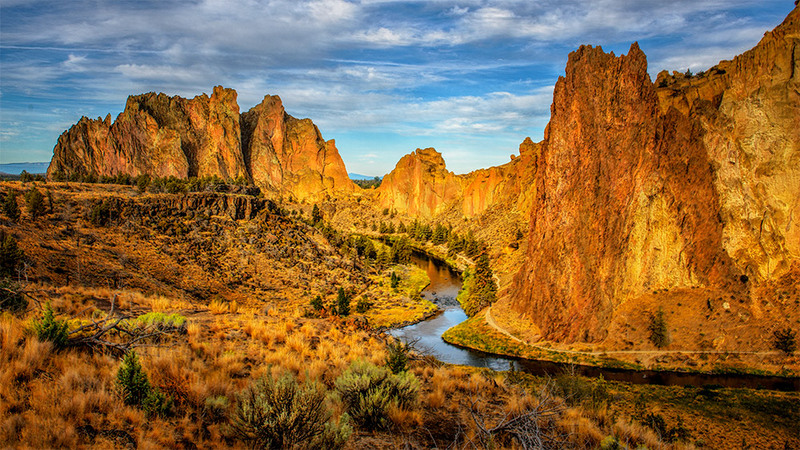 Smith Rick State Park is located east of Mount Hood (Cascade Range) in the high desert of central Oregon. It is not easy to find, since it is not located near a large city or town, and can not be seen from the main highway. It is best photographed in the early morning since the face of the edifice faces east.